Our tour to hunt for Northern Lights by minivan. The weather is one of the most important factors to consider when hunting for the Northern Lights. You decide how far away and how long we going out of city to the wilderness! Can be 100 km or 200 km – Your choice! Consequently, the sky must be cloudless or partly cloudless in order to see the Northern Lights. 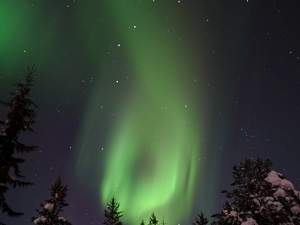 Aurora Borealis is extremely unpredictable, even under a glitteringly cold and clear winter sky. There are no guarantees that You will see the Northern Lights. However, with good planning and familiarising Yourself with factors that help determine when and where the Northern Lights possibly will show up in the sky, there is a high chance that Your hunt for the Northern Lights will be successful.